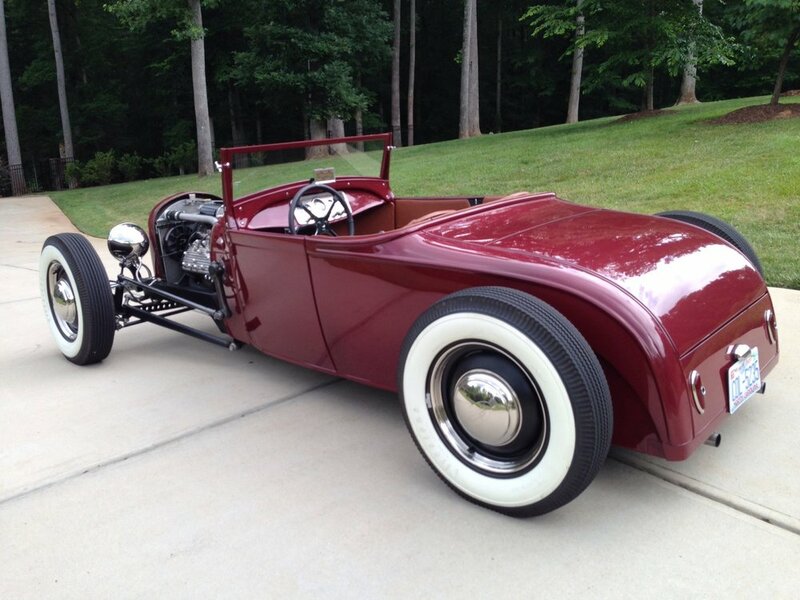 This clean custom's solid Brookville Roadster body began its life as a high-quality steel classic. We worked it into a long, lean, and low profile to create a one-of-a-kind showpiece that is both fun and reliable. 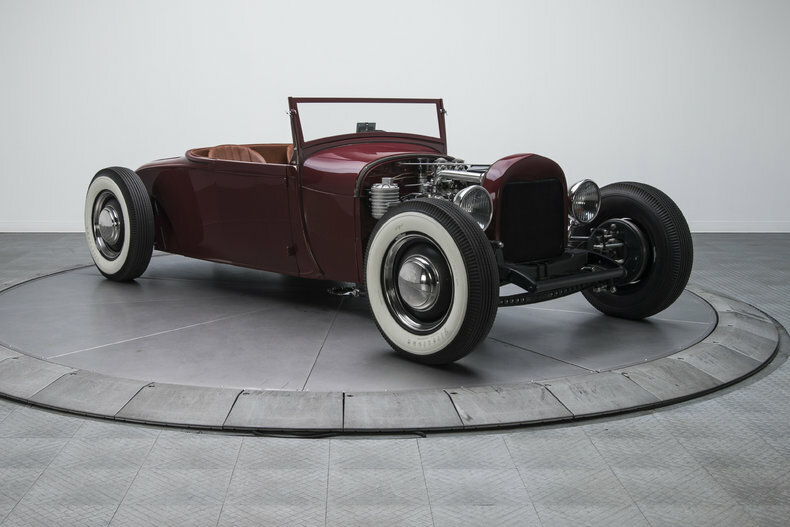 As you can probably tell, that process included a lot more than simple sanding and filling as the car's taut fuselage was stretched over a custom frame with the help of careful channeling. 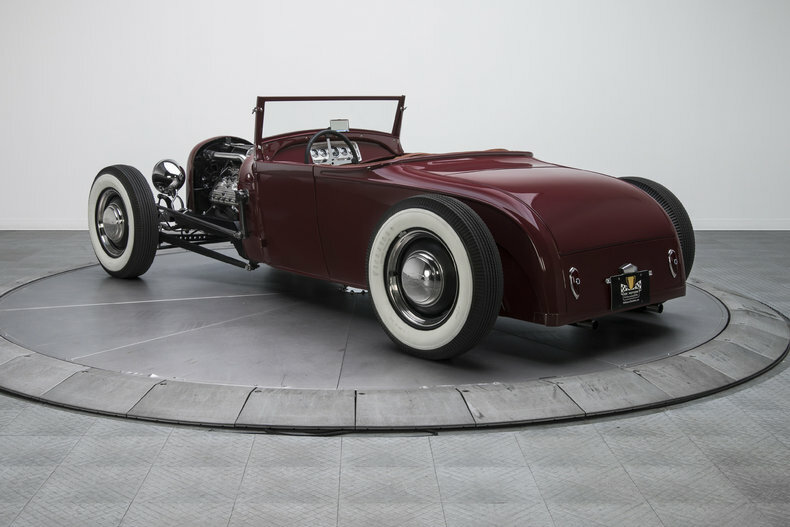 When you want to paint a vintage Ford hot rod, it's best to go with vintage Ford pigment, like this roadster's 1948 Monsoon Maroon 2-stage. Ford Twolite headlamps, a simple tag bracket, blue-dot taillights, and a body-matched window frame were some of the finishing touches. 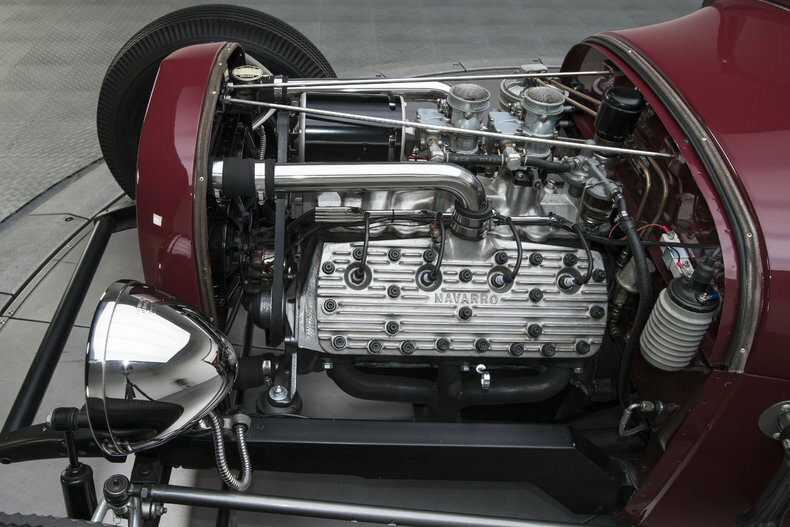 Check the glossy engine bay and you'll find 276 cubic inches of Ford 59A flathead which, thanks to approximately 200 horsepower, make this custom a blast to drive! An NOS short block that still wore factory tags prior to its inclusion in the build. This stalwart powerplant maintains rock-solid reliability in every season. The rowdy mill spins power through a tough T5 5-speed, which twists a Ford 9-inch axle around fresh 3.43 gears. 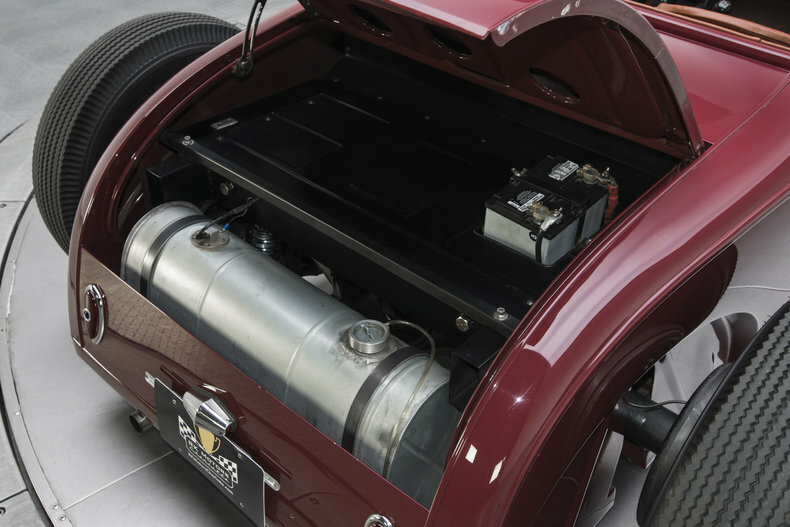 In keeping with the car's 'custom but functional' theme, that first-class drivetrain rides a custom fully reinforced chassis stanced out of 2x4 rectangular tubing. At the head of those heavy duty rails, a drilled I-beam axle provides four inches of drop. Opposite that roller, fresh QA-1 coil-overs plant the car's exceptionally light rear-half. The suspension counters the engine's grunt with a combination of 11 and 12-inch drums. And all that hardware rolls on matte-finished steelies which lap 6.00-16 Coker-sourced whitewalls.